Beachville District Museum is located in the Thames River Valley, surrounded by 4.5 acres of land. The property once belonged to the manager of the nearby lime quarry and boasts a selection of native plants and trees, diverse wildlife and scattered agricultural artifacts. 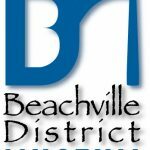 In cooperation with Beachville District Museum staff, the researcher will develop a research portfolio on the main heritage features, natural elements and historical narratives that define the museum’s grounds. They will take stock of the fossil fragments and archaeological finds in the museum’s collection and will record these in multi-media files. The research portfolio and collections imagery will be used to design a walking tour of the grounds through the Detour Platform.